San Elijo Hills is located 30 minutes north of Downtown San Diego and is situated on the highest point in Coastal North County. From Catalina to downtown, the views are expansive. The community was designed to embrace these gorgeous vistas with ocean views afforded from almost every neighborhood. San Elijo Hills was designed with almost everything in mind including a walkable Town Center with shopping and dining, brand new schools, 18 miles of trails, 1,115 acres of open space, a regional park for hiking and horseback riding, a 19-acre community park with ball fields and play structures, and homes of every size, shape, and feel imaginable. 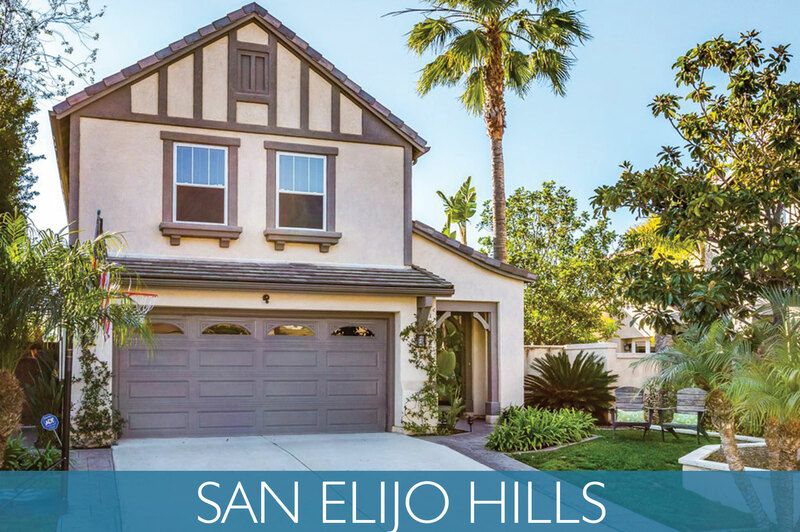 View more about San Elijo Hills on Pinterest! The heart of San Elijo Hills is the Town Center. This convenient urban space provides the services essential for any traditional small town. It is a place where residents gather at the park, meet a friend at the café, pick up groceries, drop off dry cleaning, and more. The community of San Elijo Hills provides a natural balance between development and preservation. Over 1,115 acres have been devoted to preserving open space and there are 18 miles of walking and hiking trails that wind throughout the community and offer breathtaking ocean and canyon views at every turn. The San Elijo Hills Community Park is host to both family and community wide events. This 19-acre park is equipped with two ball fields and a soccer field, all fully lighted for nighttime games, picnic areas, tot lots, and a cool spray-ground for warm-weather fun. One of the park's focal points is the 6,500 sq. ft. Community Center, which is home to a daycare facility, meeting rooms, and a unique outdoor classroom. The San Elijo Hills Double Peak Regional Park is located on the highest peak in coastal North County. It includes a 150-seat outdoor amphitheatre for interpretive ranger talks, a group picnic canopy, picnic tables, an adventure play area, a ranger station/residence, and Equestrian Staging Area. Bark Park is an off-leash dog park located in the center of the Community Park. San Elijo Hills is located within the San Marcos Unified School District, with ten of its schools having received the “California Distinguished Schools” designation. It has brought two new schools to the district, San Elijo Elementary School and San Elijo Middle School. Both schools are located in the heart of the community in the Town Center. High school students currently attend San Marcos High School where student attendance rates among the best in the country. Finally, California State University San Marcos is one of the youngest and fastest growing CSU campuses and is a pioneer in providing broad access to quality instruction and a trailblazer in hands-on education relevant to today's global and technology-rich society.